Today Jenny from ChocolateNChildren is sharing 3 ways to enjoy kale! Growing up, one of my Dad's favorite meals we something we called. Kale & Sausage. I was home a while back and my mom made it for us all and it was so good! I've never made it for my family because, well, they don't like Kale. This year we're doing a CSA and we had kale two weeks in a row. Since I love Kale, I'm excited, and I'm desperately trying to make something that everyone will eat. I'm making some progress and I hope that as the kids get older we'll do even better. Here's my 3 favorite Kale recipes so far. One of my dad's favorite meals. Place Kale in a large pot, put in enough water to cover. Bring to a boil on the stove. Cover and simmer for 30 minutes to an hour or until Kale is done to your liking. Meanwhile, peel potatoes, slice into 1in chunks, and place in a separate pot, cover with water and boil until fork tender. About 30 minutes. Slice sausage into 2in segments and place in steaming pan. Add water and steam (with the lid on) just to warm through. After kale is cooked to your liking, pour the oats into the kale and cook until oats are done. Put potatoes on the plate and mash with fork, spoon kale over top. Serve with sausage on the side. 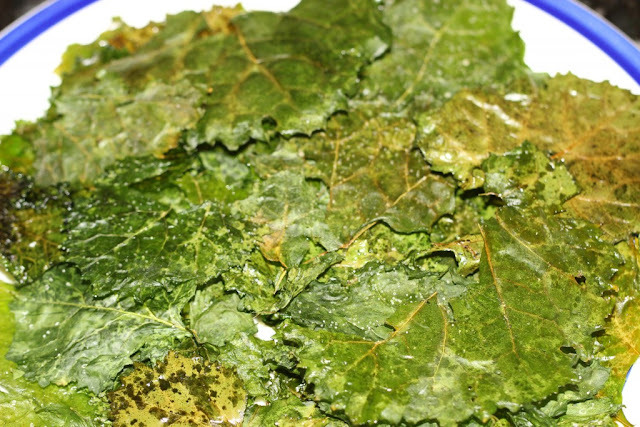 Place kale in a pan of water on the stove. Bring to a boil and boil for 5 minutes. 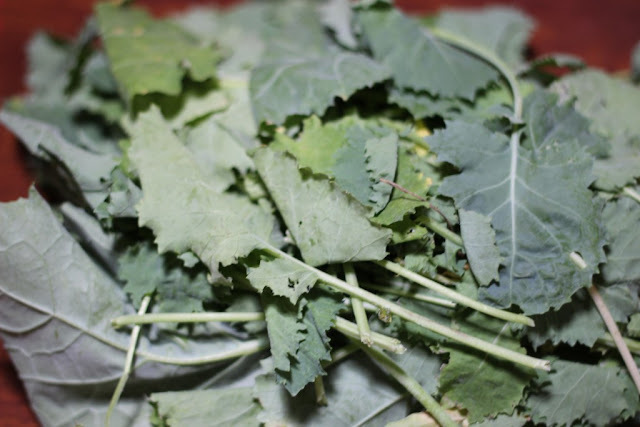 Remove kale from water and place it in a bowl of cold or ice water. Heat garlic and oil in a skillet until garlic is fragrant (about 2 minutes). Fry for a couple of minutes until all the kale is well coated. Pour in the chicken broth and simmer for about 15 minutes or until almost all the broth is absorbed. Heat oven to 250. Wash and dry Kale. Remove stems and break into medium sized pieces. 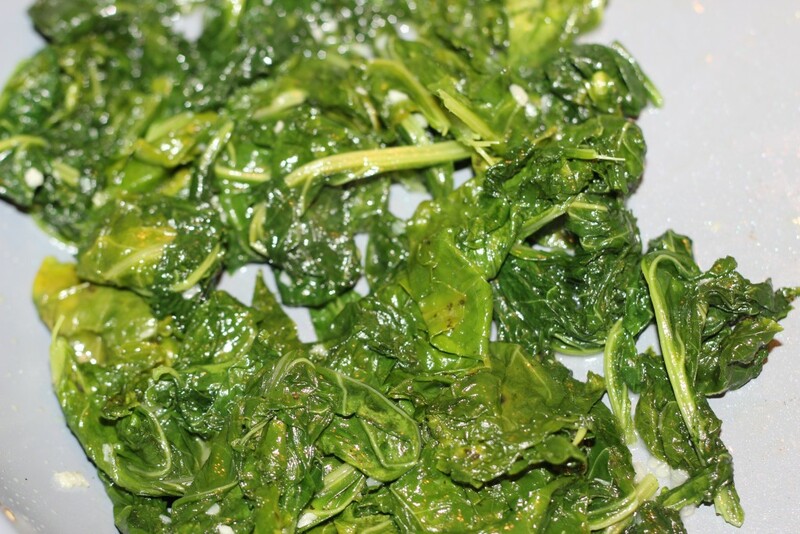 Toss kale in a bowl with the 2 Tbsp oil. Bake for 15 to 20 minutes or until kale is crisp. Remove from pan and enjoy. I'm doing Food Fridays over on my blog ChocolateNChildren.com. Stop by and see what other tasty recipes I'm trying!